If anyone would have guessed who would still be at the top of the leader board from day one into day two, I am fairly sure that Marc Leishman would not be the name that we would guess. But he is still one shot back after a second round +1 73 at Augusta and looking strong and confident for the weekend. The stars who fell from the top of the leaderboard on day two? Sergio Garcia, started off well on the first few but then fell apart for most of the day. I was really disapointed to see Sergio fall from the top of the leaderboard with a rough second day, but he his still close enough to the leader if he can turn around and post a great score on Saturday. 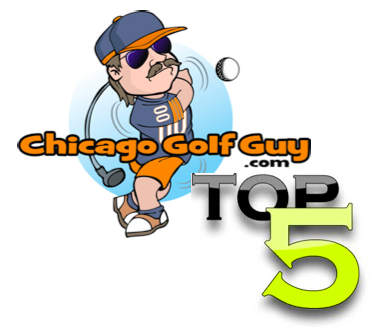 Dustin Johnson is one of my favorite PGA Tour players, just see how much I write about him, and he looked like the man to beat after he birdied number 13 and got to -7 under par. After bogeys on 14 and 17, as well as doubles on 15 and 18, to fall all the way to -1 under par. DJ had it going and then lost it coming around Amen corner, hopefully he can turn it around and make a big move on Saturday. Tiger Woods was the leader or co leader for most of Friday, until he reached the 15th and his third shot. We all saw it. Tiger hits one directly into the sun, right at the flag, and while most of us strive to hit it at the flag, Tiger actually hits it. Tigers ball hit it and then bonuced directly into the pond?! I know right, I would be tossing clubs, hitting my caddy and possibly pulling a Johny Mackenro type fit…espcially if I was leading the Masters when this freak accident of bad luck happened. Tiger is a the #1 player int he world, and he drops a ball and knocks one stiff and salvages a bogey, but make no mistake that was a two shot swing. Give Tiger back that shot and even with the 3 putt bogey on 18 he comes in one shot off the lead. Oh by the way the bogey on 18 seemed to be a shot of bad luck when Tigers ball sailed a little too long and didnt catch the correct slope on 18. Woods said that means there was nothing wrong with his ball-striking, only with his flagstick-striking. Always the joker Mr. Woods is. If Tiger keeps hitting the ball the way he is, and he can avoid any more bad luck, he is going to be the man to beat. Fred Couples is the Poncho Villa of Augusta National. He has found something in the water there and like Tom Watson at the British Open he is not sharing with his fellow AARP members. This is two years in a row that Freddie BOOM BOOM Couples is at the top or one spot back in the leader board after two rounds. I would love to see Fred beat Jack’s record for oldest major, and if there is anyone who deserves to play well this weekend…its Fred. 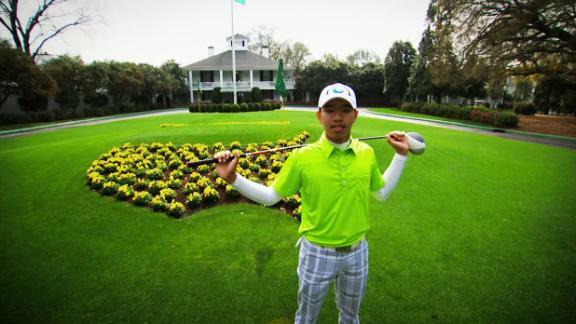 Second most amazing fact from Friday is that Tianlang Guan made the cut in his first Masters at the age of 14. Which makes him the youngest competitor and the youngest to make the cut. This is beyond impressive, it is down right unbelievable. The first most amazing fact from yesterday, Tianlang made the cut, with a one shot penalty on 17 for slow play. Tianlang Guan is a great competitor and I hope this is not the last time that we get to watch him play in a Major Championship.